Mech-Tech College is a higher education and technical training Institution whose mission is to train and re-train youths and adults with the necessary practical and theoretical competencies in professions that will prepare them to compete for employment opportunities that can emerge in these fields and maintain them. Through our innovative curricula, students will be formed integrally with the capability to critically address the technological, social, ethical, cultural, and economic challenges of a fast-growing and changing society not only in the human aspect but also intellectually. 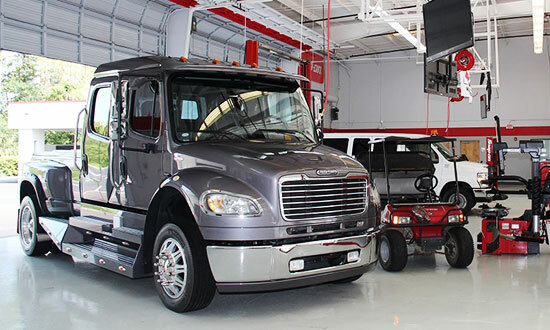 Automotive MechanicsThe Automotive Mechanics program prepares students with the necessary knowledge and skills to inspect, maintain, and repair cars and light trucks. They will also use computerized shop equipment and work with electronic components while maintaining their skills with traditional hand tools; they will also perform hands-on practice and laboratories as well as learn tasks related to automobiles parts and tools. Diesel MechanicsMech-Tech Institute’s Diesel Mechanics Program offers hands-on experience on every aspect of diesel mechanics training. 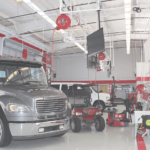 Students will learn to repair and maintain diesel equipment with the use of specialized tools, equipment and precision instruments. Industrial WeldingThis program allows students to develop theoretical knowledge and practical skills in the field of industrial welding. Students will be trained to obtain the necessary knowledge and skills to handle specialized equipment used to perform different joints and welding processes, such as weld aluminum, stainless steel, calamine, and others. 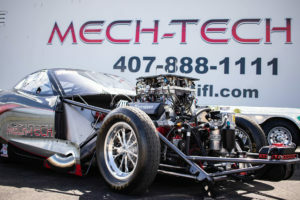 Racing MechanicsMech-Tech Institute’s Racing Mechanics curriculum focuses on the theoretical development, design, building and testing of various types of race engines. Students will learn about the use and application of the different specialized tools used to perform race car engine repairs. Mech-Tech Institute, Orlando is accredited by the Accrediting Council for Continuing Education & Training (ACCET). ACCET is listed by the U.S. Department of Education as a nationally recognized accrediting agency.